Because the air conditioning in use after a period of time, screen pack, evaporator and air supply system will accumulate a large amount of dust, dirt, produce large amounts of bacteria and viruses. With these harmful material in indoor air circulation, air pollution, disease, serious harm human health. And dirt will reduce air conditioning refrigeration efficiency, increase energy consumption and shorten the service life of the air conditioning. As a result, the air conditioning in use after a period of time, or change garments according to the stop, must be clean. In this way can we ensure that you have a health, pure and fresh air environment. General household air conditioning in the use of over the years, boot when they smelled a similar to the musty smell, some friends even if often two or three weeks and then clean the filter on the air conditioning also difficult to remove. 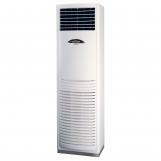 Cause: Air conditioning wind will blow out peculiar smell, is caused by several reasons: one is the system to run for a long time, dusty between heat exchanger fin, cause congestion; Second, air supply outlet of indoor machine and machine adhesion caused by the dust on the surface of the inside, even in the computer rooms, the hotel guest room air through filtering processing under the special environment of hard to avoid also; Three, fresh air and a large amount of dust accumulated in these places not only carry the microbes, also provides essential nutrients for microorganisms breeding conditions; Four, for a long time without air conditioning bad smell will be very heavy at startup, it is because of the heat exchange coil, fin and its surrounding parts on retention of water evaporation, slowly formed around the coil is suitable for the high temperature conditions, microbial breeding microbial breeding will produce the large amount of gas in the release of the air conditioning system driven, becomes the source of the stench. What is the latest technology air conditioning?